After an opposition cry-off last week, Stoke D’Abernon’s 1st XI finally kicked off their 2010 season, and secured an eleven run victory at the Rec in a 40 over encounter over Ashtead’s 2nd XI that was played in a great spirit. Half centuries for Steve Wade, (72no), Andy Page, (53); and three wickets for Peter Phipps; but Stoke’s 2nd XI were unable to defend their total of 232 for 7 at Southern Railway & Kenley. 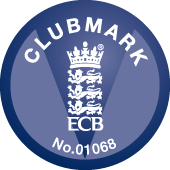 Further to my March Newsletter, (http://sdacc.play-cricket.com/content/view.asp?id=10278971&cid=200), I am writing to remind you that the Clubmark Presentation Evening is happening this Friday! Stoke’s sunday XI kicked off their season with a familiar away tie at Newdigate on Sunday 18th April. Having lost the toss Stoke were put into the field on a very sunny afternoon.